Growing mushrooms indoors is easy if you can create the right environment for them to flourish in. In fact, the vast majority of them are grown in special indoor farms. The US alone produces over 900 million pounds of fungi every single year, from standard button mushrooms to more exotic and unusual species. Mushroom growing is a huge industry because the demand far outstrips the supply you can get from nature alone. The idea of cultivating mushrooms indoors is said to originate from the 1800s when people started growing them in the dark, warm conditions underneath their beds. The practice took off, particularly amongst Italian families, as it was an easy way to get a steady supply of fresh, low cost produce. From these humble beginnings the industry has boomed, leading to the vast “mushroom houses” that provide a year round supply. It is easy to create the right conditions for growth, and in as little as two weeks a crop will be approaching the maturing stage. Button mushrooms are most commonly produced indoors using large quantities of specially formulated compost. More exotic species are slightly more difficult and need special growth mediums to feed on. Luckily, many of these can be reproduced artificially using a mushroom grow kit. Shiitake and oyster mushrooms, for example, typically grow on trees but they can be grown just as well on synthetic logs made of sawdust and kept moist with water. 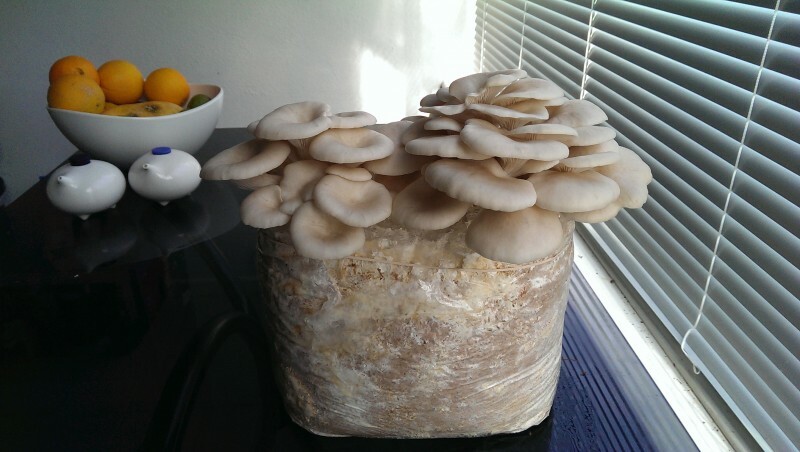 The success of large scale operations is making many people take another look at how easily they can grow their own edible mushrooms at home. With a mushroom grow kit you have practically everything you need and clear instructions on what to do. This means you can enjoy a fun project and get a tasty crop at the end. There are many great places in your home where you could have a small scale growing operation. If you want to give it a go you can find a great selection of grow kits on our website. We also have additional spawn and sealing wax so you can keep your operation going without having to buy a kit every time.